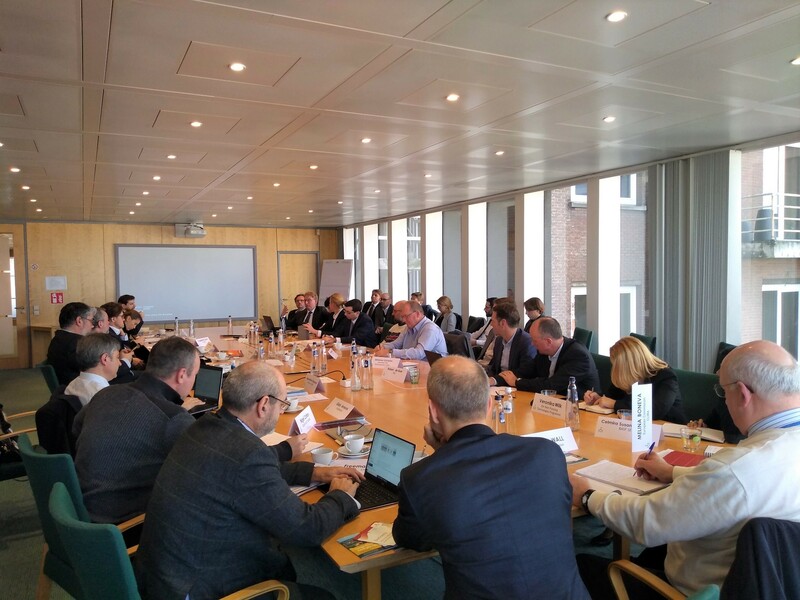 On Thursday 7 January, professionals from solar thermal energy and heat pumps providers met with industry experts of the paper industry to discuss how and to what extent innovative solutions could be integrated in the pulp and paper industry. The event, “Renewable Heating in the Pulp and Paper Industry: Assessing potentials of innovative solutions”, was co-organised by Solar Heat Europe and the European Heat Pumps Association (EHPA), hosted by the Confederation of European Paper Industries (CEPI). The event was the first of its kind as a cooperation between our organisations. Meeting the EU 2030 climate and energy targets will require a thorough rethinking of the way business operate. “The paper industry is the fourth largest industrial energy consumer in Europe and expects to keep growing. We are looking for solutions to cover our energy needs” said Sylvain Lhôte, Director General of CEPI, “and investing in energy efficiency is not enough”. The roundtable meeting first welcomed two experts to set a picture of the current solutions solar heat and heat pumps can offer, and their potential to cover different industry needs. In particular, recent key developments in these new technologies allow for them to cover a wider range of temperatures, reaching more than 100º C and sometimes beyond 150º C.
Representatives from the European Commission were also present, and highlighted the role the EU has in addressing financial barriers through European funds for research and innovation. Within the European paper industry, the biggest share of heat energy is supplied by biomass (representing a 58%), followed by natural gas (32%). Considering this, the potential to expand the share of renewable heating is substantial, but remains largely untapped due to a mix of technical, economic, and regulatory barriers. Participants were divided in three smaller groups to identify these barriers and discuss between themselves possible solutions and next steps. 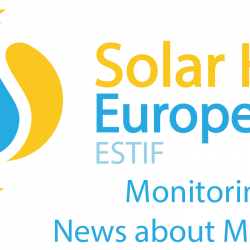 “We are happy to have facilitated this exclusive discussion between the paper and pulp industry and experts from the solar thermal and heat pump sector, which allowed both sides of the table to understand the specific needs of the other in a very insightful and productive meeting”, stated Pedro Dias, Secretary General of Solar Heat Europe.